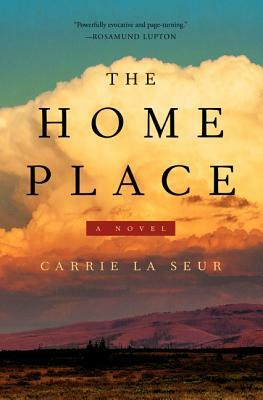 Carrie La Seur makes her remarkable debut with The Home Place, a mesmerizing, emotionally evocative, and atmospheric literary novel in the vein of The House Girl and A Land More Kind Than Home, in which a successful lawyer is pulled back into her troubled family’s life in rural Montana in the wake of her sister’s death. The only Terrebonne who made it out, Alma thought she was done with Montana, with its bleak winters and stifling ways. But an unexpected call from the local police takes the successful lawyer back to her provincial hometown and pulls her into the family trouble she thought she’d left far behind: Her lying, party-loving sister, Vicky, is dead. Alma is told that a very drunk Vicky had wandered away from a party and died of exposure after a night in the brutal cold. But when Alma returns home to bury Vicky and see to her orphaned niece, she discovers that the death may not have been an accident. The Home Place is a story of secrets that will not lie still, human bonds that will not break, and crippling memories that will not be silenced. It is a story of rural towns and runaways, of tensions corporate and racial, of childhood trauma and adolescent betrayal, and of the guilt that even forgiveness cannot ease. Most of all, this is a story of the place we carry in us always: home.